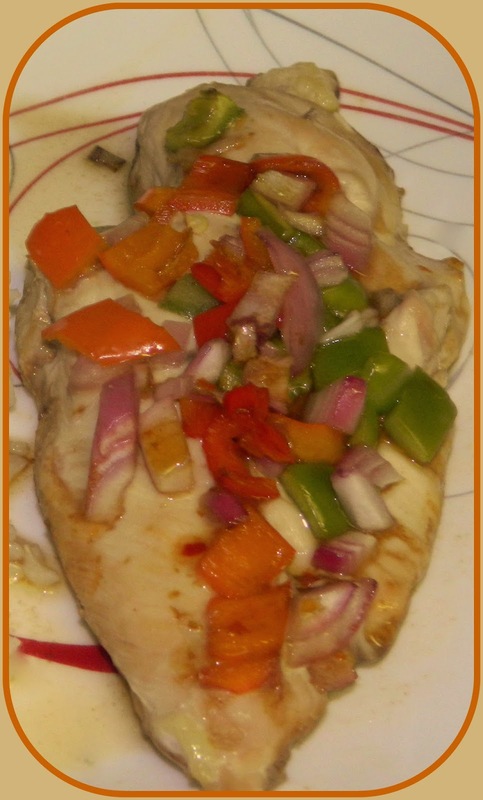 Margaret Selected Asian Chicken and Vegetable in Foil Packets page 143 in Weeknight Wonders. 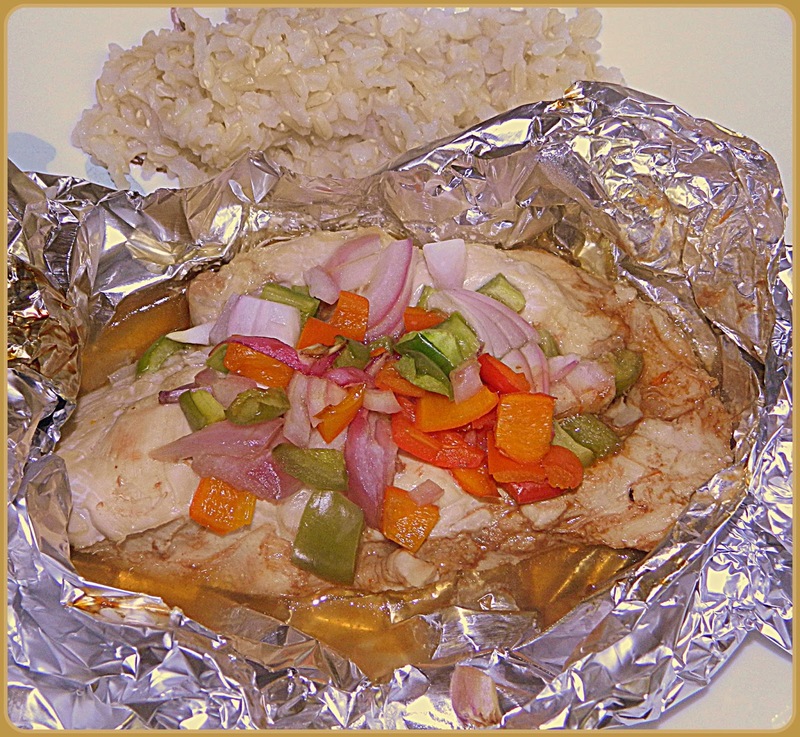 It is chicken cutlets topped with veggies and sauce made in aluminum foil packets. I love the results but did not enjoy cooking in aluminum foil. I think, it just made it messier. I served this with rice and used some of the sauce and vegetables to mix in the rice. I would have enjoyed broccoli added to the vegetables or in place of the green bell pepper. Actually, carrots, cauliflower, zucchini, peas, beans or squash would be good additions to the recipe (not all of them), I would like sweet potatoes on top of the chicken as well . This lends itself to be a versatile dish. Check out Eating with Ellie to see what the other members did with their Asian Chicken and Vegetables. You might want to see what we are making in the near future and if it appeals to you, feel free to join us. Chaya, I subsequently cooked up some rice to go with my chicken too. I liked cooking n the foil because it contained the sauce, and I could pour it over the dish easily in just the right amount. I loved that it was in foil! Yours look delicious. Wish i had thought to photo mine in the foil like you did. And adding more veges would be good in this! The chicken must be very tender and juicy. Scrumptious!